This roguelike is for those die-hard players who truly want it all... including the kitchen sink! This is one of the most complex and entertaining games of all time. More Info. 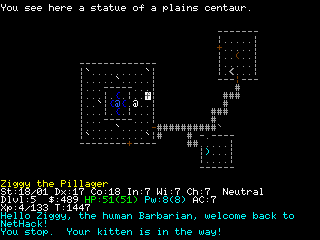 NetHack Dlvl. 5 -- "The Oracle"